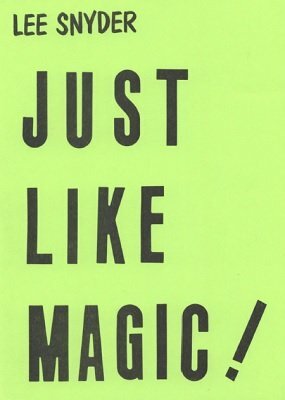 87 Tricks, routines, ideas, developments and bits that will help you get the most out of the magic you now own. Lee Snyder is a "thinking magician" and you can easily apply the magical thoughts he has come up with. 1st edition 1981, 52 pages; 1st digital edition 2017, 63 pages.